Project: Create an interface for the web, integrating all NASA centers via a common identity and navigation system, with an illustration solution that mimicked NASA's own false-color imaging. 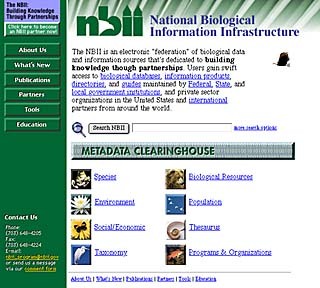 Overview: Prior to Netscape, utilized Mosaic as the graphical interface to weave disparate NASA centers into an integrated network. Had to overcome autonomous entities and variant theories to produce the complete network. 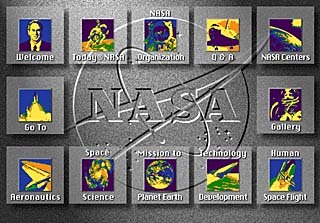 This is the top level web site for all of NASA and their associated centers. This site totaling more than 375 pages plus links to thousands of other NASA pages. 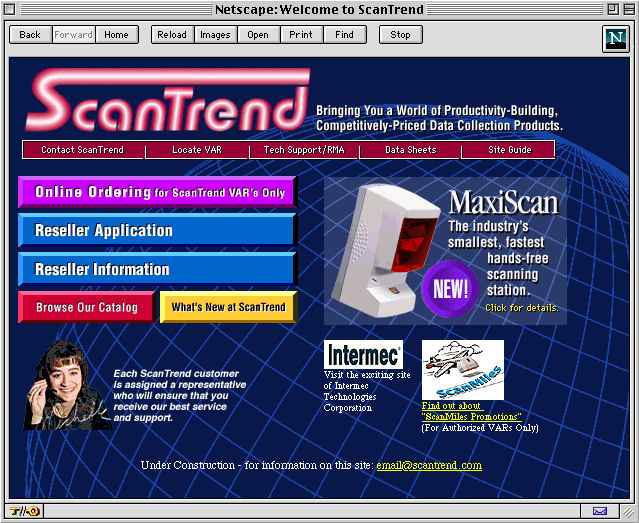 Project: Create an on-line ordering capability ("shopping cart") for "ScanTrend" products, emulating the ScanTrend catalog look and feel. Overview: State-of-the-art manipulation of data entry and integration. Custom perl scripts appear seamless to users. Site is an ideal example of electronic commerce and can be adapted to any product that is saleable. Users select items from forms built on the fly. At end, amounts and items are calculated on the fly, including shipping and billing. Users can electronically send orders and print them out. Project: Initially, create a demo which integrated a stand-alone kiosk with the World Wide Web and Federal, state and local government real-life scenarios. Later, re-vamp the initial effort into the pilot program for market-testing. Overview: An integrated, cross-platform web and kiosk-compatible system was created that could be used to complete real-life tasks such as change of address, if one were moving across country or next door by accessing the data via the Web or at a kiosk placed in a public area. Graphics and navigation had to be immediately understood and easy to use for everyone. 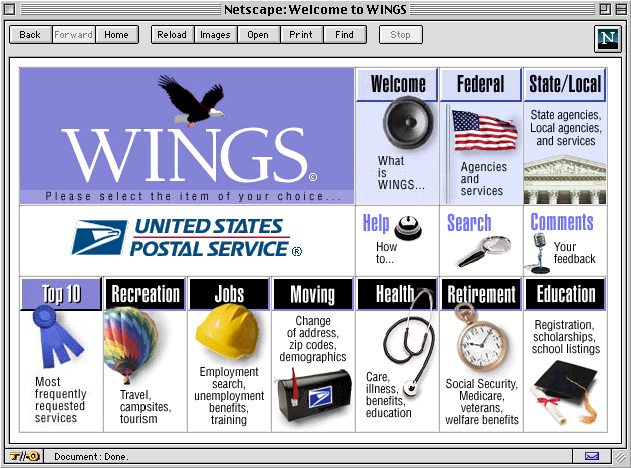 WINGS, the Web Interactive Network of Government Services, is a joint Local, State and Federal government customer-service initiative being facilitated and managed by the U.S. Postal Service. The WINGS goal is to integrate services around life events, allowing people to complete government business on many levels in one session. Through public access terminals, kiosks and even home computers, WINGS will enable the public to conduct their business with the government quickly, effectively, whenever and wherever they want to. Overview: The site also serves as a marketing tool to attract new partners nationally and internationally and represents the totality of Atomicweb's approach-the integration of collateral (print marketing tools) and a dynamic web site (interactive, multimedia tool). 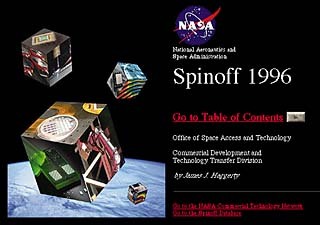 Project: Having designed and produced NASA's "Spinoff 1996," an annually published report delineating space-generated technologies and their private industry applications, we put the report in its entirety on the Web. Overview: In future years, it may replace the printed version, according to some speculation, thereby saving thousands in printing costs. Project: Design a new web site for BRD which differed from the Department of the Interior in look and feel and utilized some animation, tables and other bells and whistles. Overview: A new navigation system was created that integrated rambling pages of text with little or no unified graphic identity. 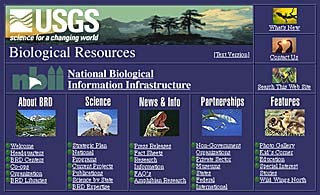 A totally new look utilized tables with a slide show on the home page that instantly communicates the core message of biological diversity.